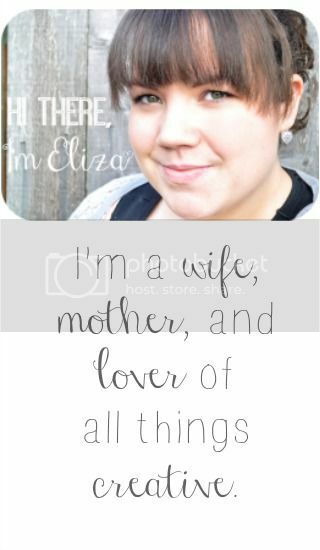 When I discovered Etsy, it was truly a beautiful day. How can you not love almost everything on there? Seriously. Quite honestly, if I had a million dollars I would blow it all on Etsy. Every vintage purse, handmade bracelet, magnetic chalkboard, vinyl wall art, made-to-order paper maiche figurine... everything! We are talking some serious love here people. Today, I would like to introduce the first thing that guided me to one of my first loves. 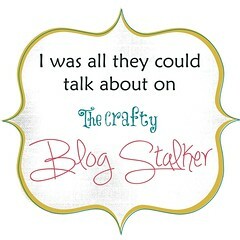 I was blog-hopping one day and came across the CUTEST wreath. It was different shades of baby blue yarn with glass balls, lettering and all sorts of amazingness. It was vintage, whimsical and modern all at once... needless to say, I was in love. They are seriously like little pieces of candy, I want to just eat each one! The detail she puts into each one is just perfection. After my second son was born I attempted to re-create one of these... needless to say, I did not do it justice. For those who want to save some money it is possible and I will post a tutorial at a later date. 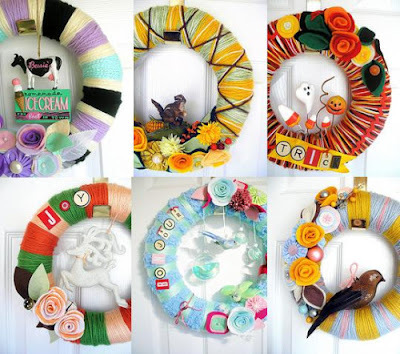 On the other hand, if I had a million dollars I would buy hundreds of these wreaths.